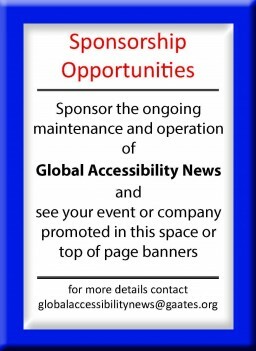 SAUDI ARABIA: Qaderoon Network, along with its members Tamer Group and Saudi Airlines Catering, supported persons with Sickle Cell Anemia on social media, in alignment with the International Day for Sickle Cell Anemia on June 19th, 2018. 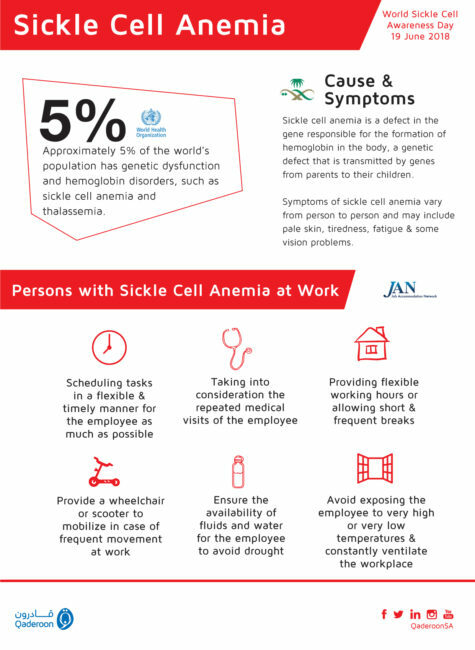 The post – developed as an infographic – aimed at sharing general information and examples of accommodation services that employers can provide to support employees with Sickle Cell Anemia. The post witnessed positive interaction through the hashtag #WorldSickleCellDay.